The RhinoShield SolidSuit Case thoroughly impressed us when we declared it the best case for iPhone X, so when our Samsung Galaxy Note 9 arrived, we knew exactly which case we’d want to review first. However, prior to receiving the SolidSuit case from RhinoShield we had to use a different case in the meantime. We chose an Otter Box Defender and after comparing the two, RhinoShield reminded us why they’re still the best game in town! The box for the Galaxy Note 9 SolidSuit case is the same as the iPhone X version. The front shows off a some of the features as well as a view of the back of the case. After using and being disappointed with the Otter Box Defender for a week, we installed the SolidSuit as soon as we received it! 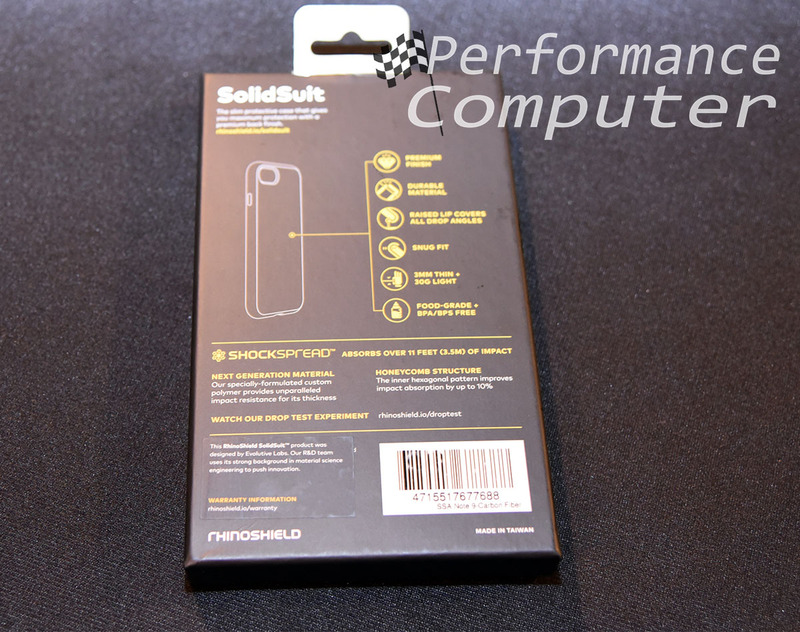 We removed and installed the SolidSuit so quickly, we didn’t even take time to get a picture of the case in the box! The back of the box includes brief overview of the technology used in case including features such as raised lip covers and BPA/BPS free construction, an underrated but very important aspect of RhinoShield cases. These days it seems that no material is safe for humans, especially plastics related industrial chemicals such as BPA. The fact that RhinoShield takes this into consideration and builds products that omit these harmful materials is another reason we love their company. 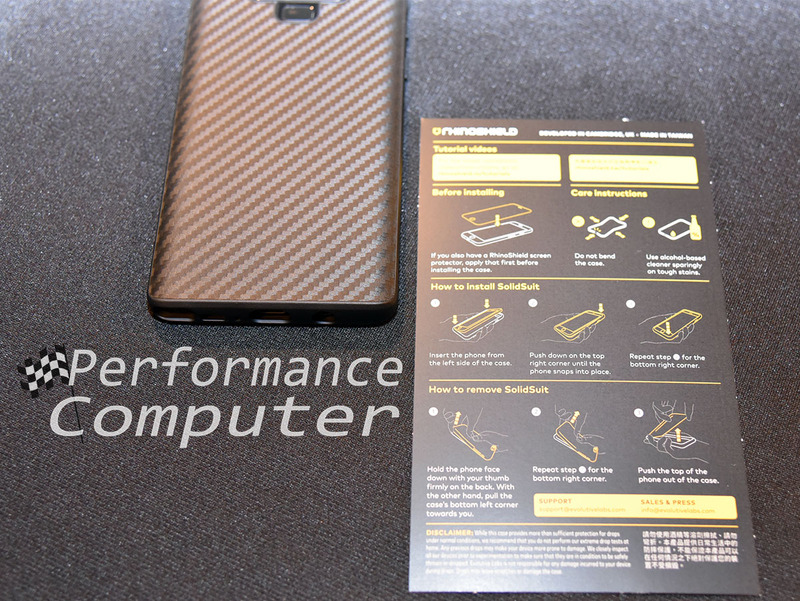 RhinoShield includes some great directions that perfectly illustrate how to install this case which incredibly easy to do. 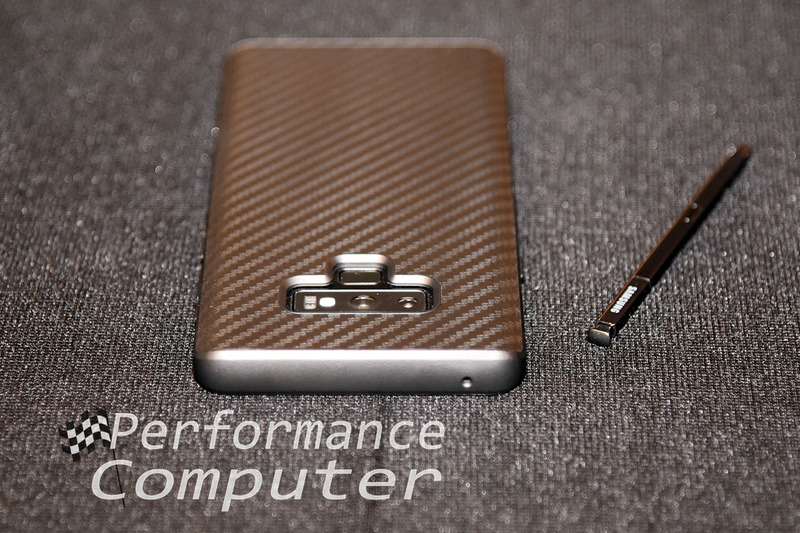 Here you’ll see our first view of the case, we received the carbon fiber finish version which looks fantastic! 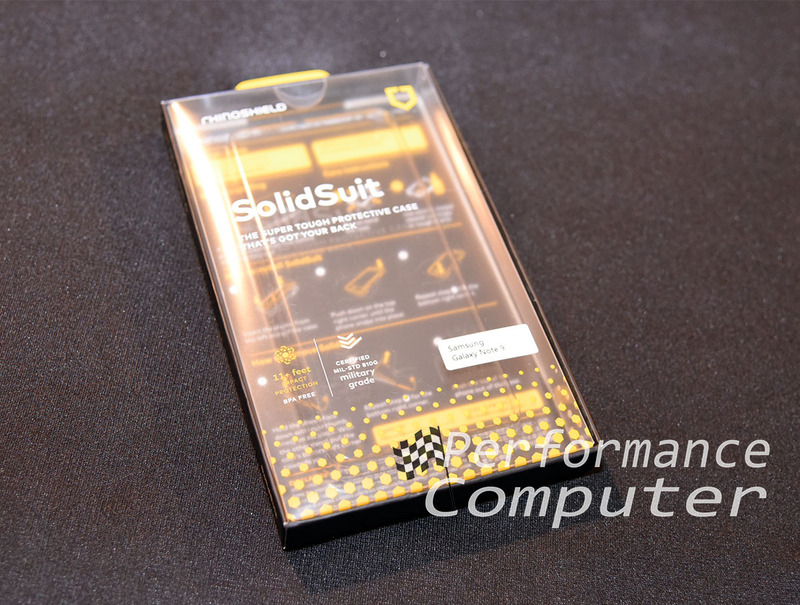 Installation of the SolidSuit case is very straight forward, if you have a screen protector it needs to be applied prior to installing the SolidSuit. 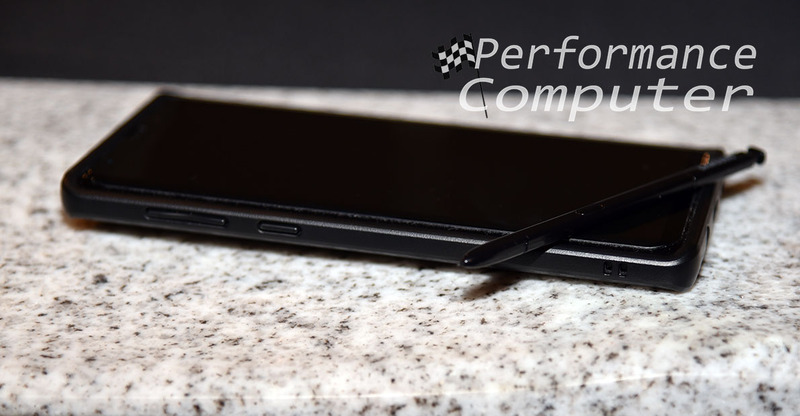 Speaking of which, RhinoShield also sent out their Samsung Galaxy Note 9 tempered glass 3D curved screen protector. As smartphones become more expensive, investing in well-made protection is vital and we highly recommend using a tempered glass screen protector in tandem with a quality case for maximum protection. 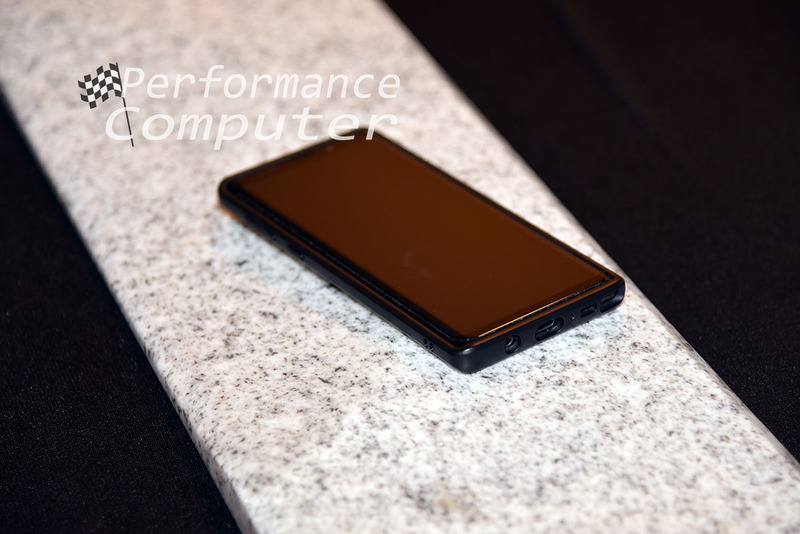 The front of the case is very minimal, and the case adds little bulk to the phone, a trademark feature of RhinoShield cases. 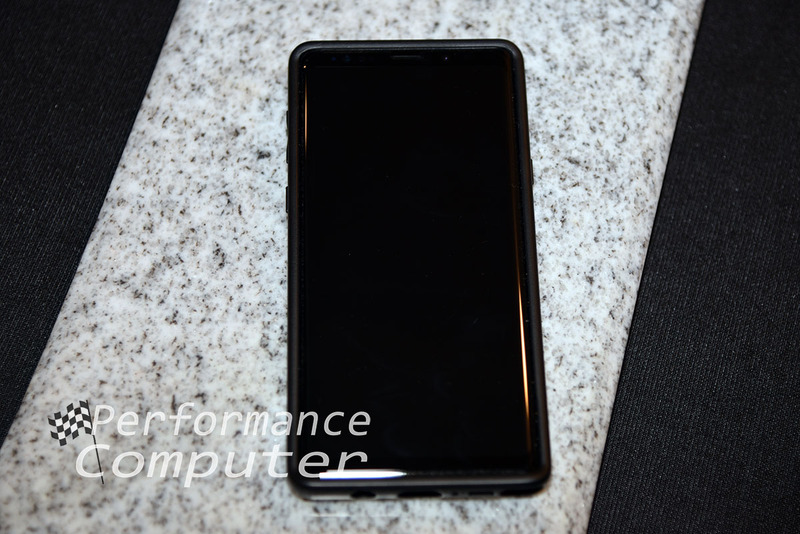 This minimal footprint is the exact opposite of the Otter Box Defender case which adds so much bulk to the Galaxy Note 9, you can barely fit it in a pocket. 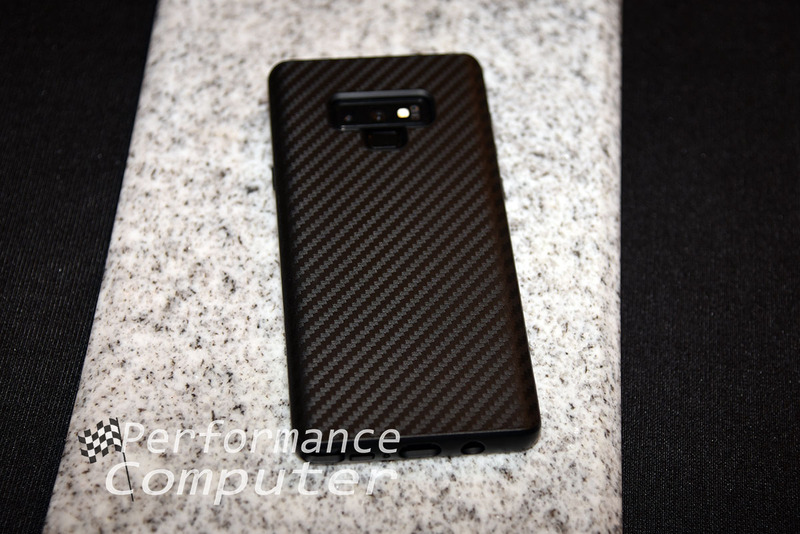 The back has the textured carbon fiber weave finish which feels great in the hand and looks even better in person. It has a well-designed matte finish, not glossy at all. This makes for a very premium looking smartphone case. 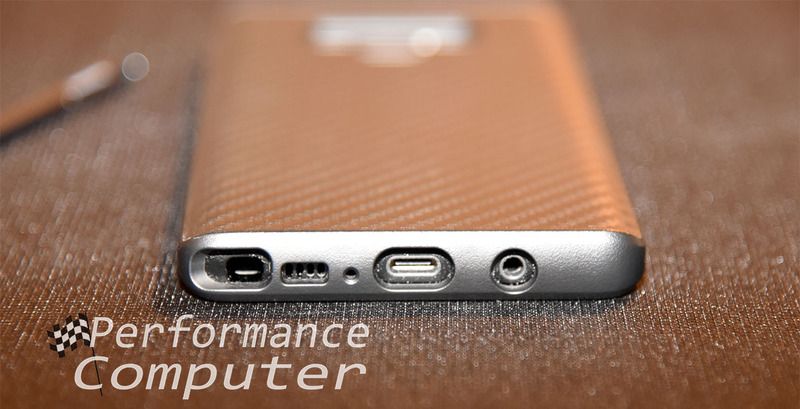 The bottom of the case has generous sized cutouts for the 3.5mm headphone/microphone jack, USB-C charging port and bottom firing speaker. The side buttons have a solid, responsive feel to them when pressed. 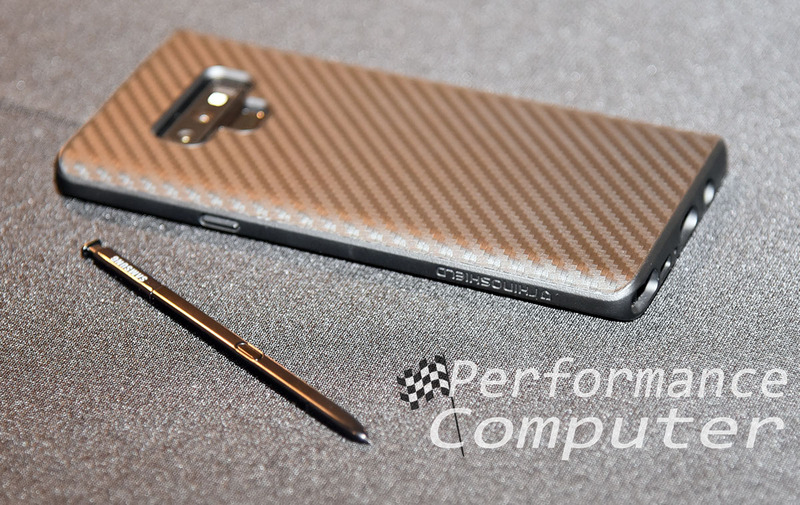 After extensive use and testing of the Samsung Galaxy Note 9, we haven’t managed to drop it which means we’re either very lucky or the firm grip of the carbon fiber SolidSuit is another form of protection in itself! Judging by the installation process, as each corner was “popped” in, we could feel the case enveloping the phone like a cocoon with air-tight suction. Based on our experience with the iPhone X which was been dropped on concrete and hard tile flooring with only a small scuff on the case to show for it, we believe the SolidSuit will perform admirably when required. 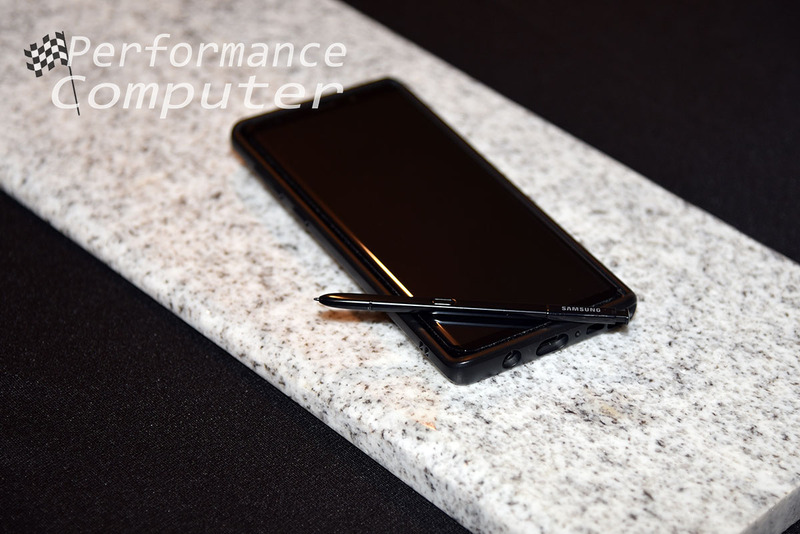 The RhinoShield SolidSuit case for the Samsung Galaxy Note 9 is another tremendous success for a company that has built a reputation on solid, reliable smartphone accessories. The SolidSuit lineup is our favorite case family from RhinoShield because these cases are easy to install, minimal in footprint and provide unrivaled protection. Pair the SolidSuit case with the RhinoShield Galaxy Note 9 tempered glass screen protector and you have a winning combination that is sure to protect your smartphone from nearly any catastrophic fall! Therefore, we highly recommend the RhinoShield SolidSuit case for the Galaxy Note 9!